God's Word was preserved and protected for over a thousand years by the primitive Christianity of the apostles. Rome’s war against the saints moved into a dark stage of history. A common set of beliefs identified these Christians regarded by Rome as heretics. 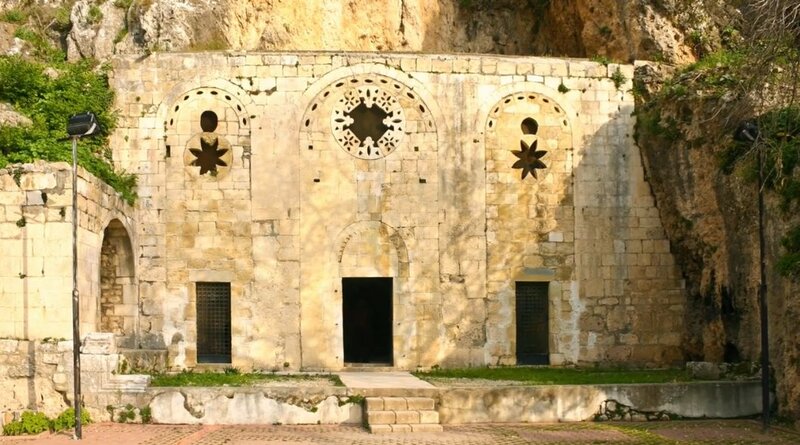 The earliest Christians arose in Antioch and migrated ino Armenia within the first few centuries. 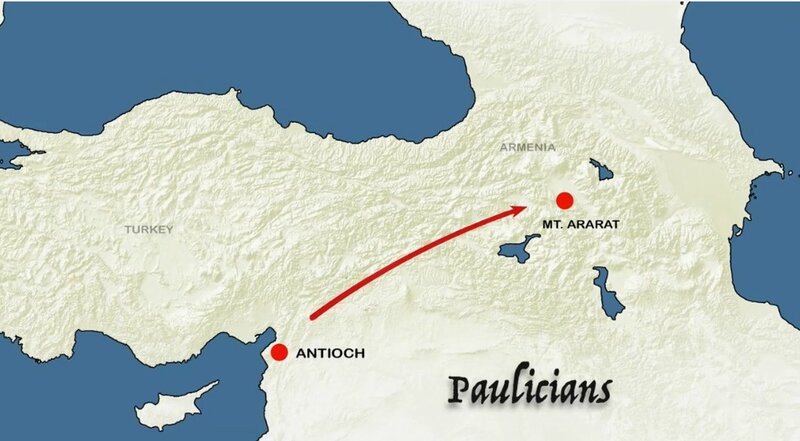 Edward Gibbon in his famous History said, “This was the primitive form of Christianity” that “spread in the Taurus mountains as far as Ararat.” (Rise and Fall of the Roman Empire, Bury edition, Vol. VI, p. 543). 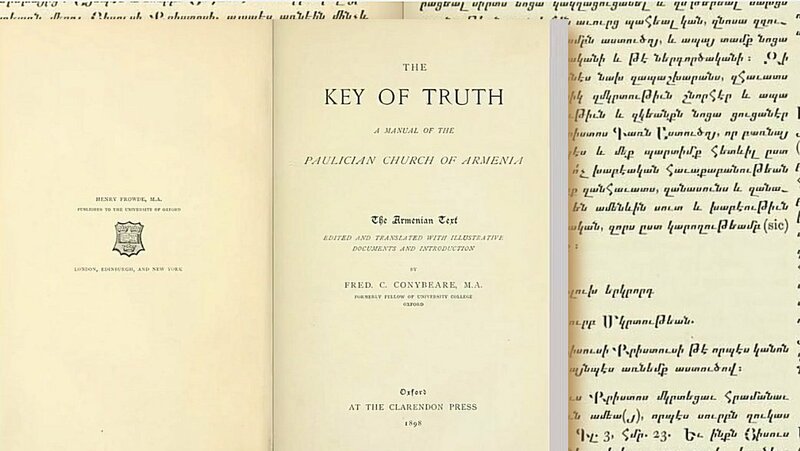 We know much more today of what the Paulicians believed from their manual of faith and practice called “The Key of Truth.” The 1782 copy is written in ancient Armenian script dated to around 800 AD. 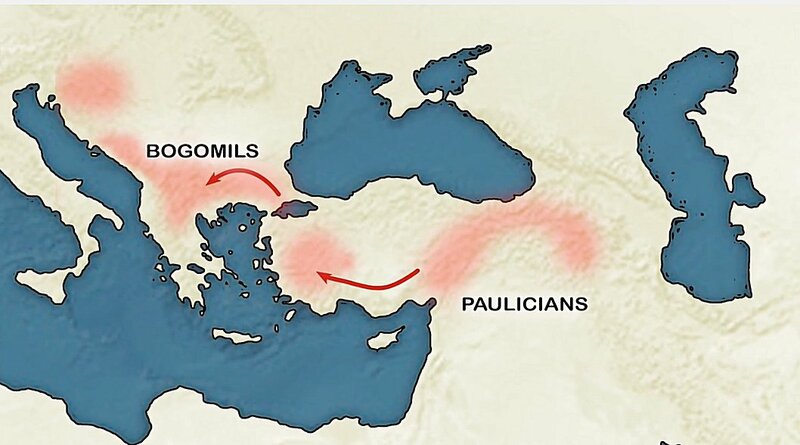 These became known as the Paulicians. “believe, serve, and worship God the Father, and the Son, mediator and intercessor, and the Holy Spirit, the dispenser of grace to us who believe.” (The Key of Truth: A Manual of the Paulician Church in Armenia, F.C. Conybeare: Claredon Press, Oxford, 1898). 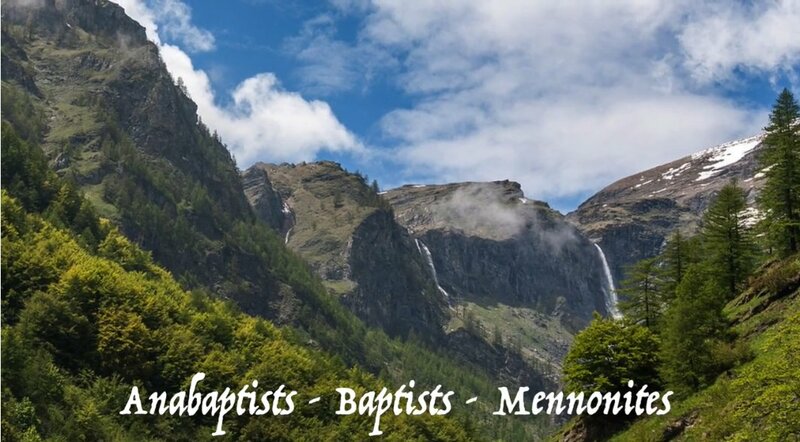 But because they rejected infant baptism they were accused of rejecting all forms of baptism! Because they opposed the Eucharist of the Mass they were accused of denying the true human nature and literal death of Christ on the cross! Because these original Protestants chose not to accept man-made tradition they were seen as “not even Christian at all.” Such mistaken logic prevails still today. 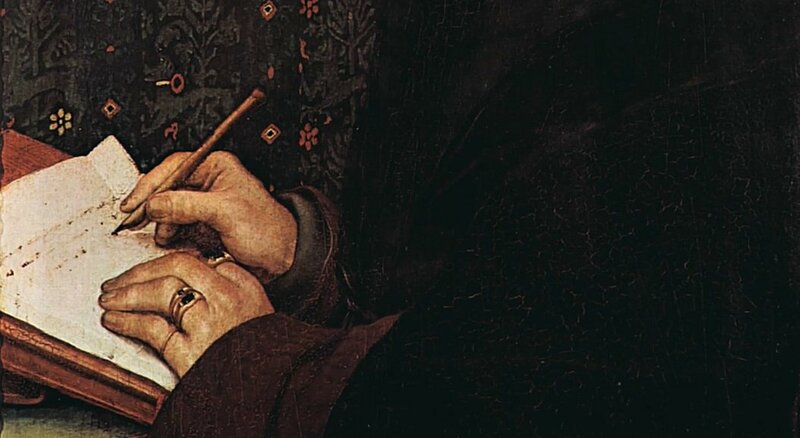 Like Arius, hardly anything remains of their writings, and nearly all that we know of their teaching and doctrine comes from their heavily biased critics. 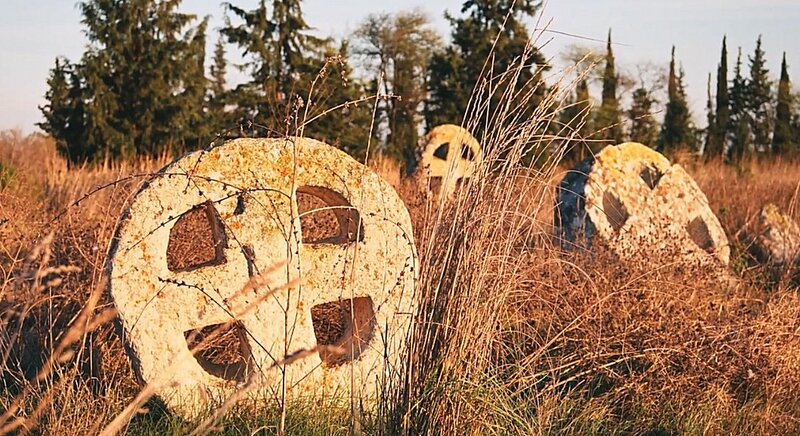 But the Paulicians soon merged with the Bogomils in ancient Thrace. 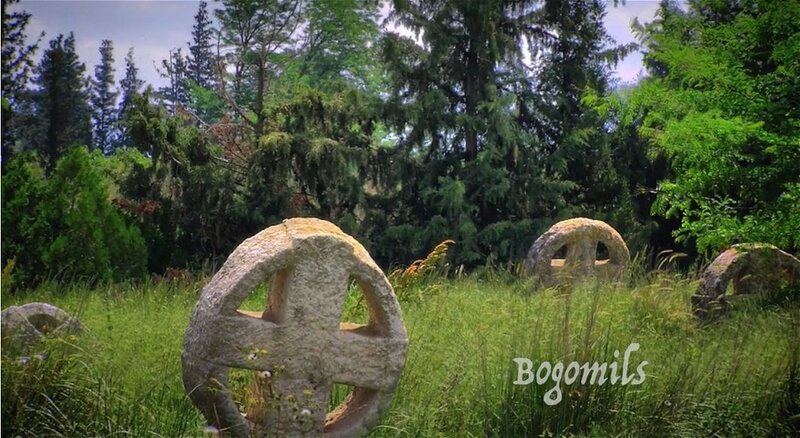 In the 800s the Slavic Bogomils (“Friends or Lovers of God”) emerged in what we know today as Bulgaria. Their doctrinal beliefs are also sketchy, but threads of Biblical truth can be found. Like the Paulicians… “They also stressed on the Law of Moses with the exception of sacrifices and accordingly they practiced circumcision, abstained from the unclean meats and observed the Sabbath as a day of rest. It is said they believed that God had two sons, Satan and Michael—one created, one begotten. Satan rebelled and became the god of this world (2Cor 4:4) bringing ruin and rebellion to earth. Satan thus became the evil spirit. Michael was sent to earth to become the man Jesus Christ. Satan engineered his crucifixion and Michael then became the Holy Spirit. Satan, they believed, then created the Orthodox system of churches, vestments, rites, sacraments, monks and priests to draw men away from God. Considerable evidence exists in the Bible for identifying Michael as the pre-existent Christ. 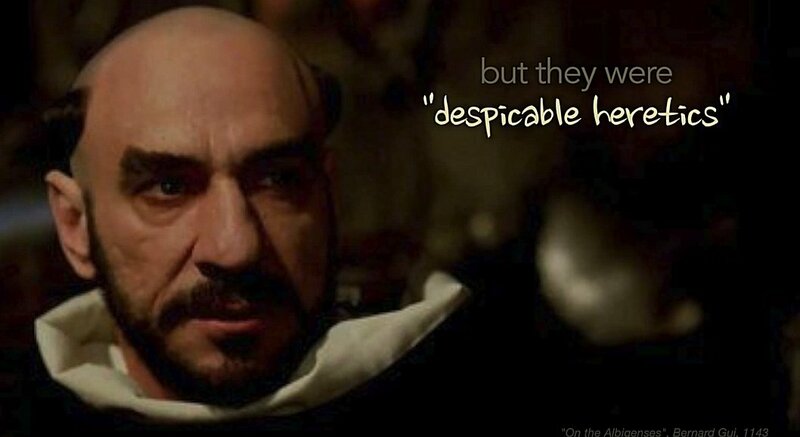 And Satan as the pre-existent Lucifer. Both are princes. Christ is the Prince of peace Isa 9:6. 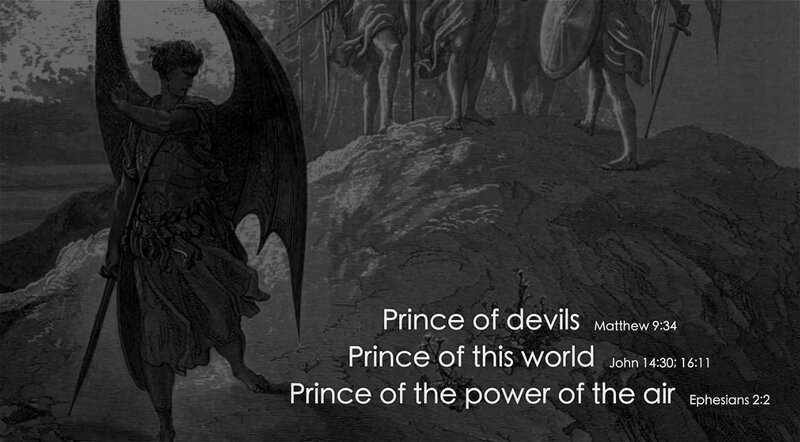 And Satan, too, is called a prince. 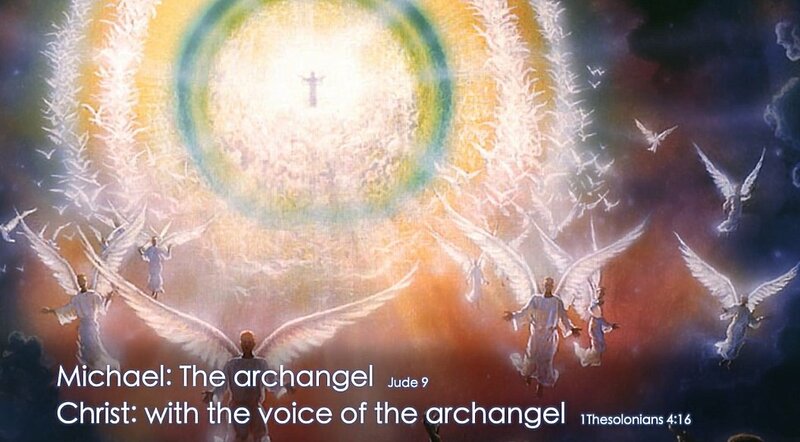 For Christ, the Lord, shall descend with the voice of the archangel at his coming to raise the dead. 1Thes 4:16. 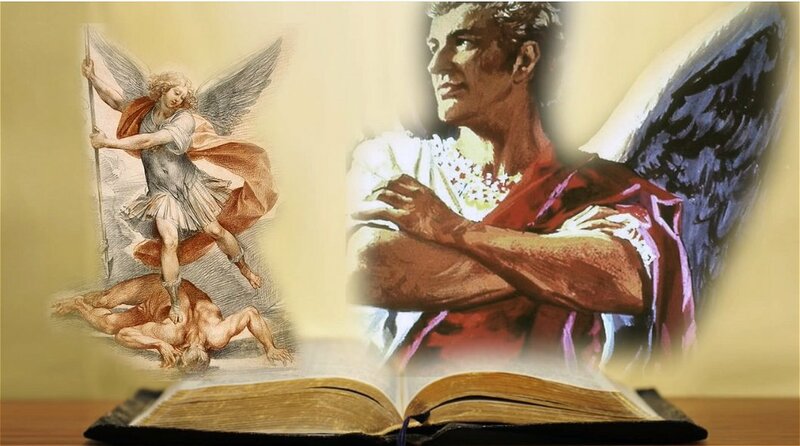 Piecing together a story that began in heaven, Scripture describes a conflict between Michael and Satan, Rev 12:9, the two anointed covering angels who stood in the presence of God (Ex 25:18-20). Bernard Gui, recorded in his 1143 treatise “On the Albegenses,” that they claimed to hold the faith of Jesus “and his gospel as the apostles taught” but they were “despicable heretics” because they denied that the Eucharist contained the actual body of Christ, they denied that holy water was really holy and that confession made to priests was useless. 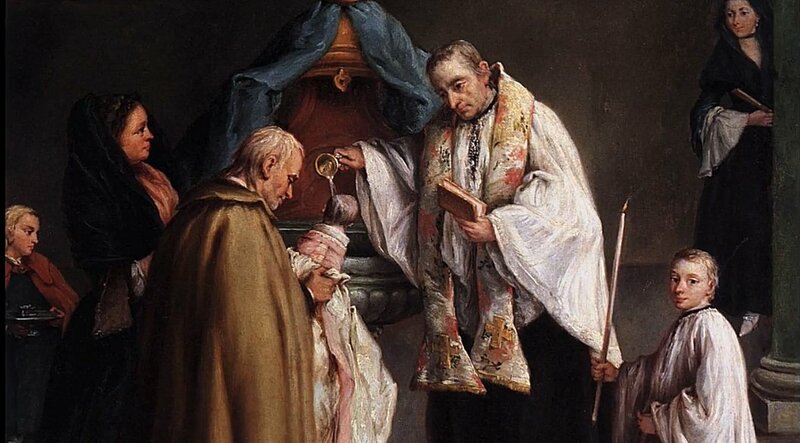 Furthermore, they dismissed relics as merely superstitious ploys of Rome, that they should not be adored or venerated. But worst of all they believed the Bible should be read in the common language of the people! They were ridiculed for being vegetarians, and accused of being modalistic Monarchianists, Unitarian adoptionists, angelic-Christ Docetists and, of course, like all heretics, labeled as Arians. Bonacursus, like many others, did not understand the difference between the Son having an equal nature with God and sharing the same being as God. 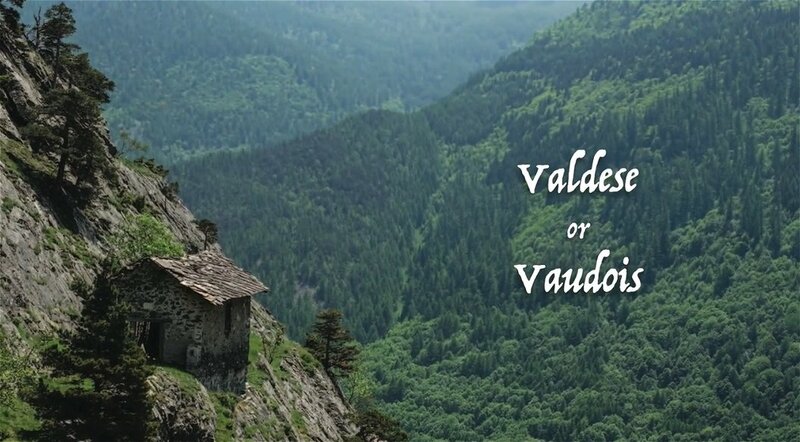 The Waldenses, named after the valleys in which they settled in the Italian alps, are thought to have originated from the disciples of Polycarp. 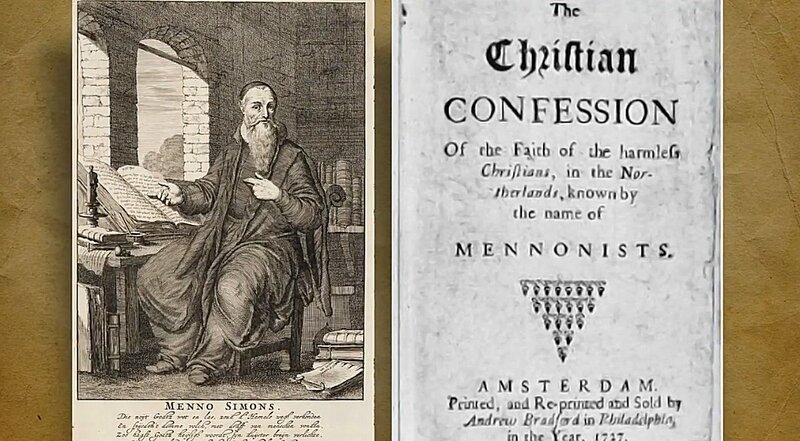 He sent them out in 120 AD (Peter Allix, Churches of Piedmont, 1690 edition, p. 177). 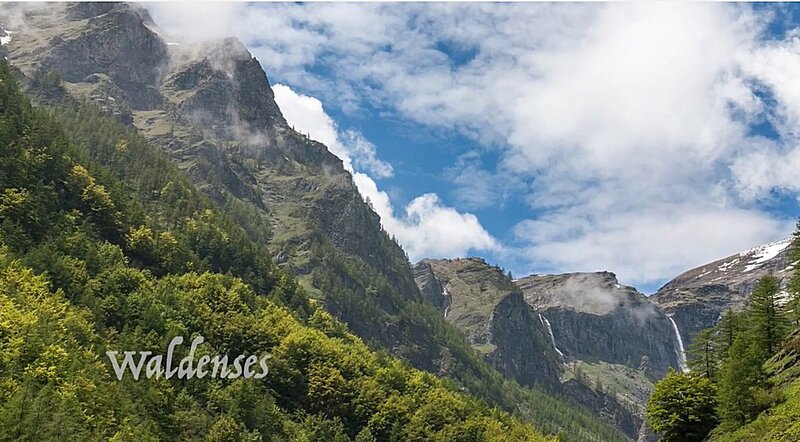 They called themselves Vaudois after the valleys in which they lived. 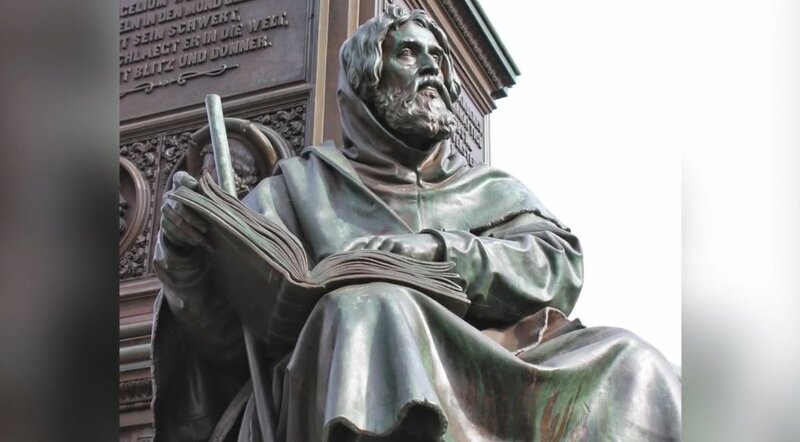 Their desire for the word of God, led Peter Waldo to commission the translation of the Scriptures into Gallic, the common language of these people. 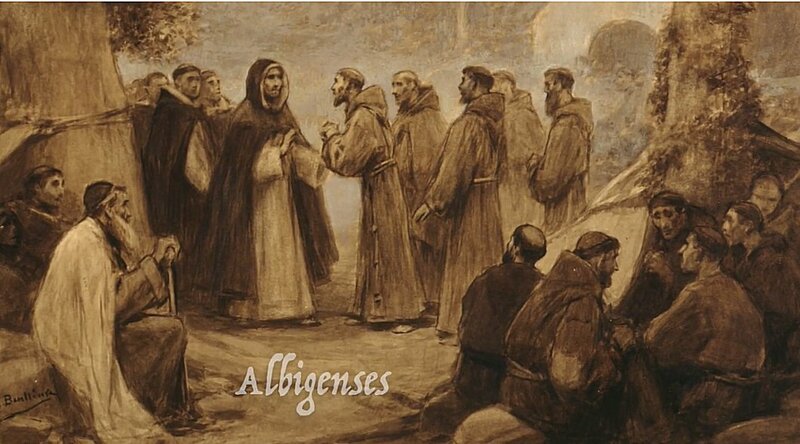 From their reading of the Bible they discarded the practice of indulgences, prayers for the dead, Mary worship and intercession of the saints. 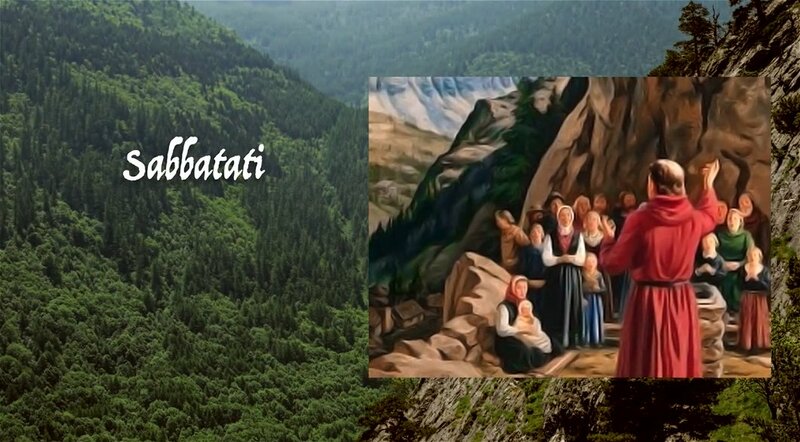 They were called Sabbatati because they, too, kept the seventh day Sabbath as taught in the Bible. But the church was not pleased with this development nor the study of the Scriptures without authorization by the local clergy. Their “contempt for ecclesiastical power” resulted in their excommunication and banishment from Lyon, France. 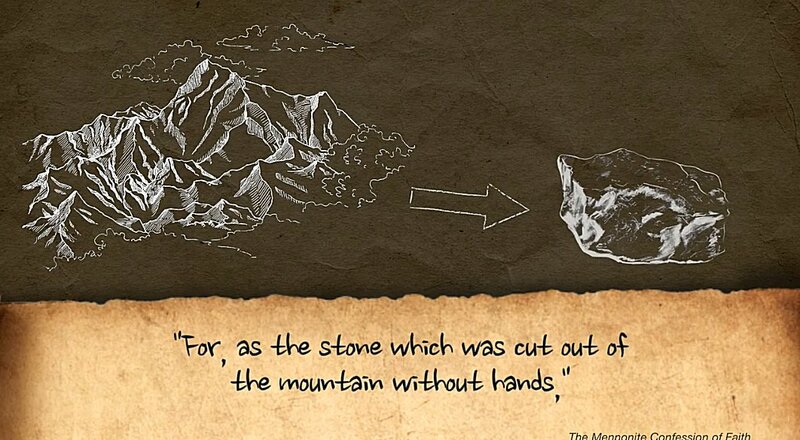 From there they retreated to the mountains where they preserved the Bible for generations with their handwritten copies. all identify the Waldenses as their spiritual ancestors. which begin with the unity of God and the Sonship of Jesus Christ.